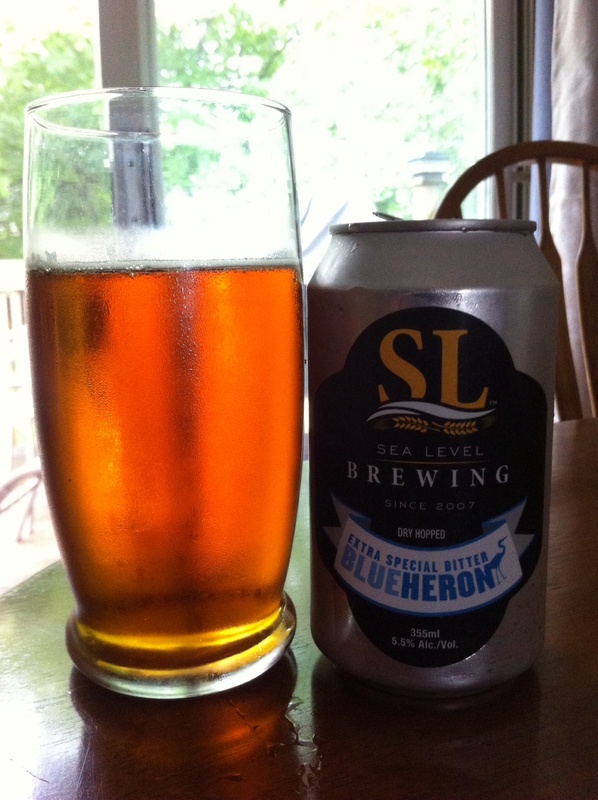 Sea Level Brewing first opened in November of 2007. They were the first, and still only, microbrewery in the Annapolis Valley, Nova Scotia. Located in Port WIliams, they produce small batch award willing beers from their small brewhouse. They’re a small brewery, mainly doing tap sales locally and growlers from their brewery shop, but they also have a canning line for their beers, canning 3 cans at a time. Labelling and date-stamping the cans by hand, this is a real labour of love and truly “craft”, and if you’re lucky you might be able to find a 6-pack near you (though, it probably still means a trip to Nova Scotia, but it will be worth it). Appearance: Deep golden, burnt orange, with highlights of caramel-brown. Little in the way of head on the beer, but it has lacing that lasts through until the end. Aroma: The aroma is mainly that of hops and a caramely sweetness. The malt comes through with a bit of breadiness and that sweet, grainy aroma. There are also notes of toffee and flowers with a touch of earthiness. Taste: Hops upfront, with the bitterness settling to the back of the tongue. Pleasant earthy notes and a bit of sweet malt flavour cutting through the solid bitterness. As it warms slightly more of the malt sweetness starts to peek through the hop presence. Some slight fruity-floweriness comes through, but isn’t dominate. Mouthfeel: The body is medium with the carbonation on the lighter side that makes it seem at bit more full-bodied and creamy they it would otherwise. Overall: The hops were surprising at first, and probably a bit more than you might expect from a “traditional” ESB, but the settle in nicely. Well balanced and easy drinking, this is truly a great beer and those fortunate enough to find this little brewery near them are lucky to have the pleasure of this fine ale. And those of us who have to come from away will find it worth the trip. Located on the Halifax waterfront, Garrison is one of the granddaddies of the Atlantic Canadian craft-beer scene and has, over the last few years, also grown to become one of the region’s largest craft brewers. Most importantly, it has done so while retaining a small-time feel, with flavourful beers that still feel like they come from a small brewery. This may seem a no-brainer, but as many small brewers get bigger, they lose their way and start trying to appeal to ever broader tastes, until their beer tastes like just another macrobrew. I’m looking at you, Sam Adams. 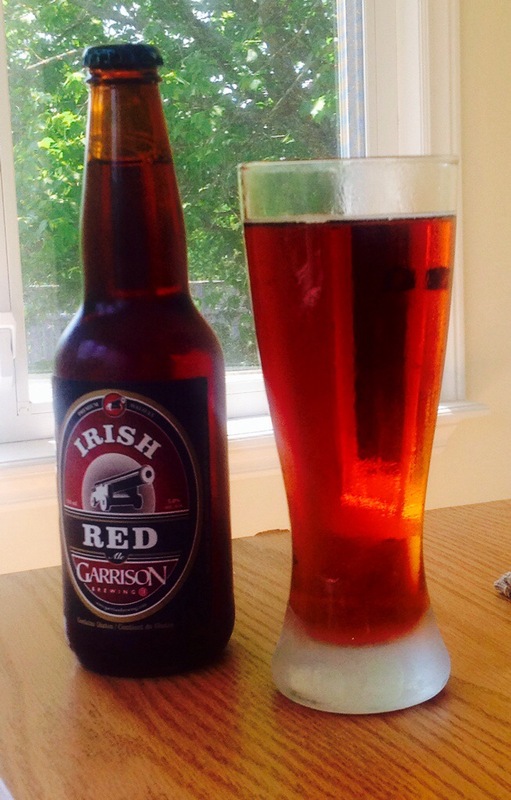 But I digress… I’ll have more to say about Sam Adams in a future post, but for now, let’s return to Garrison and its Irish Red. Appearance: Bright copper, with ruby hues. Frothy head that dissipates quickly, leaving a lot of lacing behind. Aroma: A nice punch of malt, faint hits of fruit and caramel—think of candy apples. Taste: Malty, but not as malty as your nose tells you to expect. Moves smoothly to dark chocolate, with a black coffee finish. Agreeably hoppy; almost, but not unpleasantly, a hint of fresh-cut grass. Bold flavours, best enjoyed with a palate-cleansing apéritif. Mouthfeel: Foamier in the mouth than it looks in the glass. The hoppiness puckers your mouth, and will linger a bit. Overall: As you’ve probably gathered, I like this beer a lot. It’s been a mainstay in my fridge all summer, and it’s an equally pleasant winter beer. It has big flavours and lots of character, and holds its own alongside any Irish red. And lest you think I gush, it’s a three-time bronze winner at the Canadian Brewing Awards, and took home gold at the 2010 World Beer Championships. 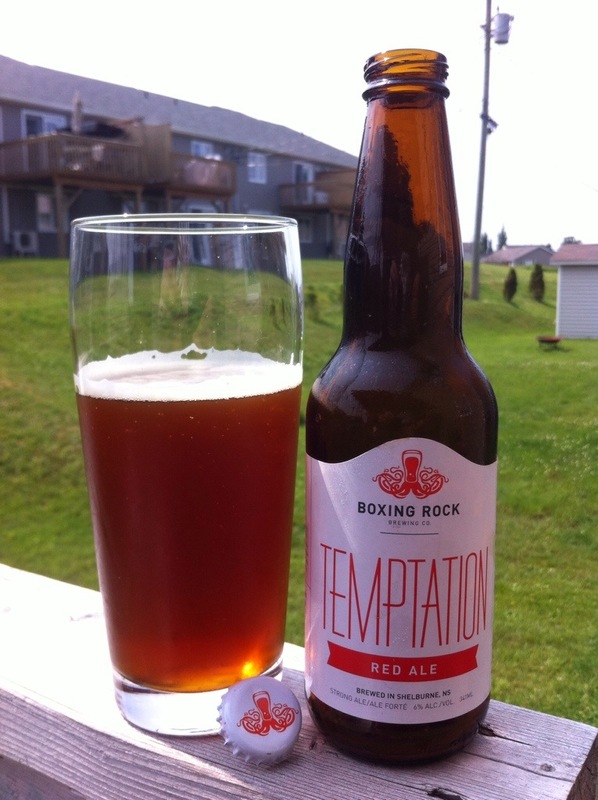 Boxing Rock is one of the newest craft brewers in Nova Scotia, Canada. Located in Shelburne, they are quickly aging a reputation as a great brewhouse, producing a growing list if ales. From the brewery: “Full bodied and rich, Temptation Red Ale is a sultry jazz singer in your glass. Continuously hopped during the brew and dry hopped after fermentation with a single hop, this beer has a uniquely full flavour profile”. Appearance: Burnt amber red with orange highlights. Hazy with only a slight off-white head, but lasting. Aroma: Very citrusy, with orange and grapefruit dominating. There is some flowery notes and just a hint of earthiness. No malt to speak of. Taste: The hop notes in the nose carry through in the flavour with a firm bitterness. Flavours of grapefruit and orange peel are up front, but fade to a dry bitterness in the palate that begs for the next drink. Mouthfeel: Medium mouthfeel with a typical level of carbonation. There is a slight oiliness, but this doesn’t present itself in a bad way – probably from hop oils. Overall: Excellent beer once again from Boxing Rock. They knock this one out of the park. Very drinkable, enough hops to give it that great flavour, but it doesn’t destroy your palate and leaves you wanting that next drink. This might be the best American Red Ale I have ever enjoyed. Well done. Okay, its summer. Its time for some hot weather, light and refreshing drink. 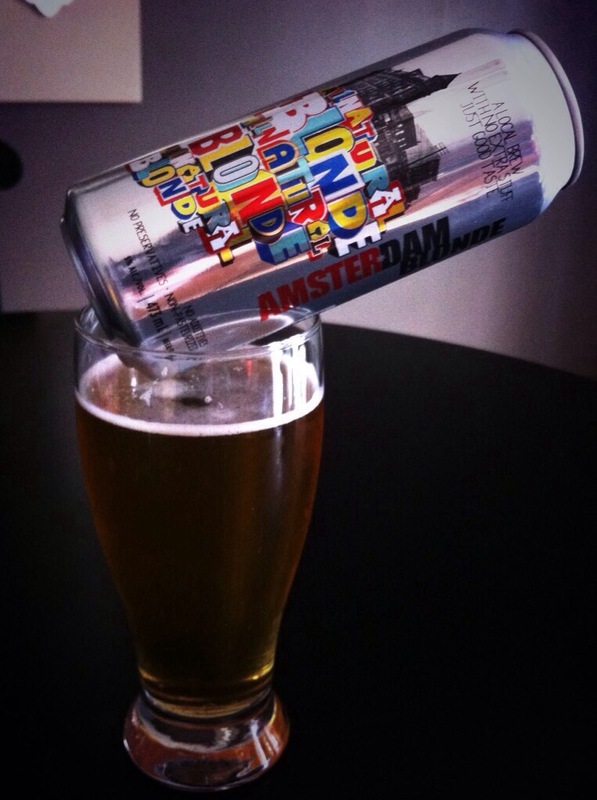 Something easy, but not the same old mundane and flavourless pale lager. Enter Amsterdam Brewery. First opened as a brewpub on Toronto’s John Street in 1986. By 2005 it had outgrown its roots twice and was a full blown micro brewery. Appearance: Golden, burnt yellow, crystal clear with a pretty decent head. Aroma: The aroma is quite malty with some fruit notes, and a hint earthiness. Otherwise, fairly clean. Taste: Almost balanced, but slightly more bitter than malty. There’s a bit of hops, and some malt that presents itself as a caramel sweetness, with just a light leather note. Mouthfeel: The body is medium with a moderate level of carbonation. Overall: This struck me very much like a pale lager but with more body and flavour, but that is not a surprise form this style of beer. Its clean and light, but almost to a fault. Though a fine beer, it does leave something wanting. This is a great, easy drinking beer that would be a fine introduction to a non-craft beer drinker to the craft world.